Well , I can scarcely believe the launch is at the door. We have spent the last 10 days on holiday at the seaside, and now I have to get my sleeves rolled up for the launch party. Have I ordered enough snack trays, and hired enough glasses? Wine, beers, bubbly? This book launch is the culmination of 8 years hard work and now it is out there in the public domain. My first child, going out into the big world. Will she be a success? Will she get rave reviews? We’ll have to wait and see! Categories: Every Hidden Thing, My Struggles as an Author | Tags: Book launch, Every Hidden Thing, first book, first child out in the world, launch party, sink or swim | Permalink. If you want to get into Smashwords Premium Catalogue get someone to design a professional-looking cover. I am fortunate in that my daughter Natalie Pereira, is a designer and she did a beautiful cover for me. Smashwords can recommend designers if you need to find one. The other point I’d like to make is: Unless you are a real e-fundi, do not attempt to format your own manuscript! I realised I know so little about the process, so I took Smashwords advice and looked for a formatter from the lengthy recommended list Smashwords has put together. I picked one at random which happened to be fictionworks@icloud.com. And I was delighted with the service I received from them and also for the quality of work they did. It pays to do this because having had the manuscript professionally formatted and having a well-designed cover, when I finally got it all together and listed my book, the process went so smoothly and quickly; and it went through like magic. Now for better or worse I am a published author! It took eight years to complete my novel and then another half a year to get my act together and publish! But I am also a terrible procrastinator! E-publishing is a growing industry and it has made publishing accessible to everyone. If you think you’ve written something others would like to read, go through the steps of getting an editor, write and re-write, correct and edit your own work too, be prepared to throw out your best writing because it doesn’t fit and re-write and then when it is ready, get your book properly formatted and get a good cover designed and then nothing is stopping you! Smashwords lists on all the major e-book retailers book lists so you don’t have to worry about getting it out there. Don’t forget though that the advertising and networking to bring your book to readers’ notice is your job. I hope these posts have helped a little bit to de-mystify e-publishing and to encourage you to get your best-seller out there! Categories: My Struggles as an Author | Tags: e-publishing, formatting for e-publishing', get an editor, networking, procrastinator, professionally designed cover, re-write, smashwords listing, smashwords Premium catalogue, YouTube trailer | Permalink. While I’m on the subject of e-publishing: there are just a few points I’d add to what I said yesterday: It is important to read Smashwords’ very exhaustive instructions on how to publish with them. I was a bit slow about these, and only found out down the line that I had to contact the IRS in Texas and ask for tax treaty exemption. ( I found out that South Africa has a tax-exemption treaty with the US; find out if your country has the same). This has delayed the process somewhat, but even there, Smashwords instructions were very helpful. They also have a letter you can download and send with your application. I suggest anyone going this route should apply timeously for this document. (Unless you want to pay tax at home and in the US!) I have been able to request ‘deferred payment’ so as not to delay the publishing process. And set up a PayPal account if you don’t have one already. Just a word here about FREE publishing. I spent quite a bit over the years on various items such as printing of my manuscript( several times) in order to revise a printed version and when I was almost ready to list on Smashwords, the formatting costs about $40 dollars. I once got very good advice from Writers Workshop that cost about £80 for a 5000 word sample.Keep you slips. When you are actually earning money, you can claim the expenses as a tax deduction. To list on Smashwords if free. Obviously they charge a percentage of sales but you get a good 60% of sales. I LIKE that. With formal publishing, if you sell a book for $100 you can expect to get a lovely useful $7 per book! Unless you sell millions of copies a la Harry Potter, in which case you can buy the publishing house any way! Categories: Every Hidden Thing, My Struggles as an Author | Tags: e-publishing, free publishing, IRS, keep your slips, PayPal, Publishing tips from a novice, tax deduction, tax exemption treaty | Permalink. First of all take your courage in both hands and JUST DO IT. While I was hesitating, I spotted an article in a woman’s magazine (Woman and Home SA Edition Sept. 2012) that asked the question: ‘Do you want to be an e-Book Bestseller?’ in the article it gave very clear advice about publishing with Smashwords and Kindle. While I had heard of Kindle I had never heard of Smashwords.com. So I Googled it and discovered a whole new world. Even there I took a long time before I committed myself. But I am not sorry I did it! I listed my book last Friday. Now it’s a matter of wait-and-see! Categories: Every Hidden Thing, My Struggles as an Author | Tags: courage to just do it, e-book publishing, ebook bestseller, first novel, first-time publishing, formal publishing sector, kindle, smashwords | Permalink. 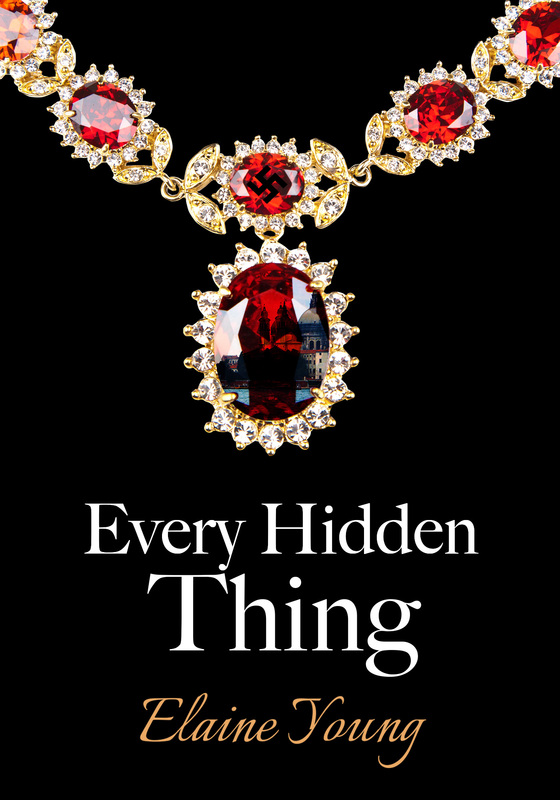 Every Hidden Thing – published! Well I have finally got my ducks in a row and published my manuscript Every Hidden Thing as a e-book via smashwords.com! It can be pre-ordered now and will be delivered on the 28th August 2013. The cost will be $4.99. Categories: My Struggles as an Author | Tags: book trailer, Every Hidden Thing, link to book trailer, published book | Permalink.